New Delhi : In a stern reply to Pakistan’s daring act of raising Kashmir issue again at UN, India said if you care so much for Kashmir then evacuate it. “To de-militarise Kashmir is not the answer, to de-terrorise Pakistan is,” External Affairs Ministry spokesperson Vikas Swarup tweeted after Pakistan Prime Minister Nawaz Sharif raked up Kashmir issue in his address at UN General Assembly. 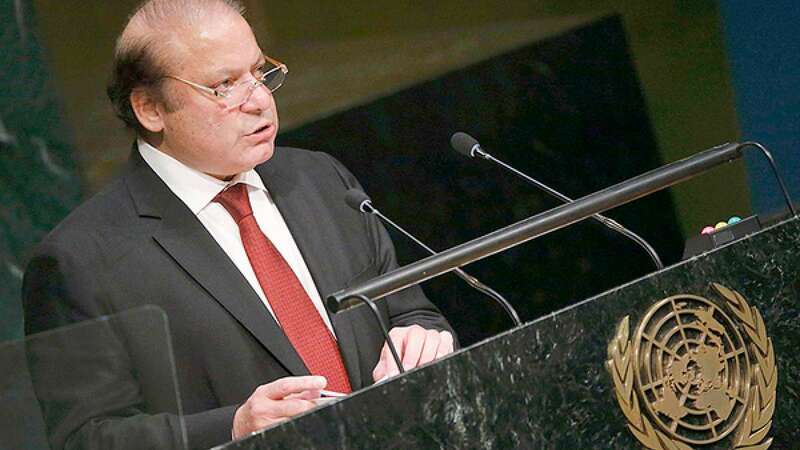 Pakistan Prime Minister Nawaz Sharif not only talked about Kashmir in his 17 minute long speech but also slammed UN and said it is their failure that no substantial decision has come so far. Sharif also tried to portray his nation as the victim of terrorism.